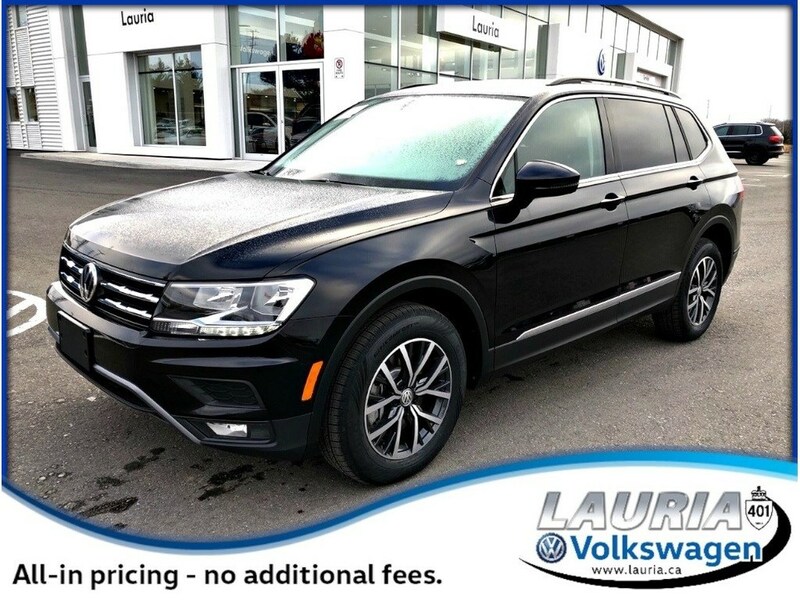 Only 1 2.0T Comfortline 4Motion AWD 7-Passenger model left in stock! Only $128 Weekly with $0 Down Payment! 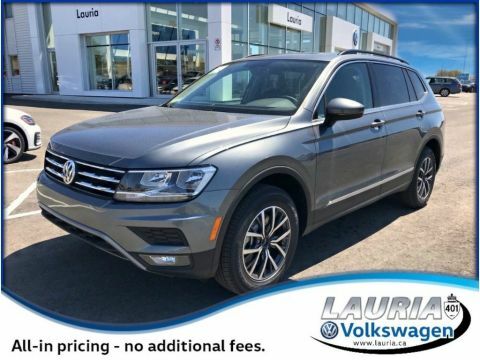 Highlights of the 2019 Tiguan Trendline include: 2.0 TSI 184HP engine with 8-spd automatic with Tiptronic and FWD or available 4Motion AWD. Rear view camera,Bluetooth,Apple Carplay,Android Auto,6-speaker audio,6.5 touchscreen 17 alloys,LED running lights and much more! The Comfortline trim level includes: Rain sensing wipers,blind spot detection with rear cross traffic alert,hill descent control,autonomous emergency braking,leatherette interior,pedestrian monitoring,8 touchscreen,satellite radio,push button start,fog lights,power driver seat,optional panoramic sunroof,optional 8 touchscreen with Navigation,and much more! 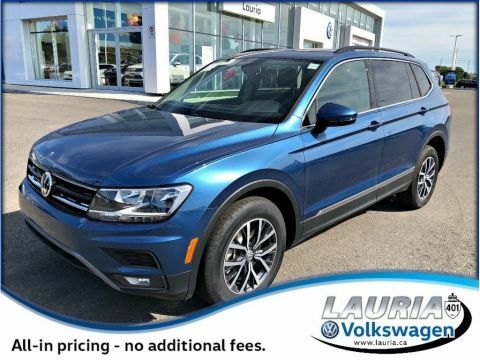 Included features with the Highline trim are: Power liftgate,dynamic LED headlights,18 wheels,memory driver seat,VW digital cockpit with Navigation,Fender Premium 400-watt digital sound system with 8 speakers and 8 touchscreen,remote start,leather interior,panoramic sunroof,and much more! R-Line package includes all the features of the Highline plus: 19 alloys,black headliner,R-Line badging,aluminum door sills,stainless steel pedals and more! 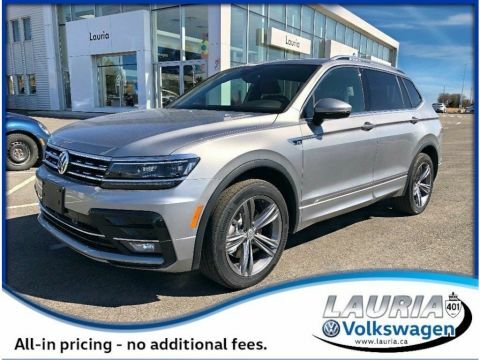 Optional Driver assistance package available on the Highline trim includes: Light Assist,Lane Assist,Adaptive Cruise Control and Area View 360.